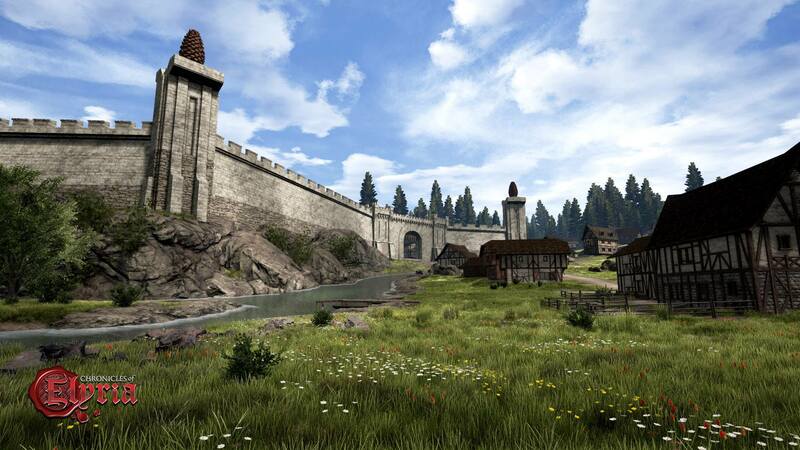 Chronicles of Elyria is not just an MMORPG played by the individual player, but also a Kingdom Management game where ownership of land and titles has an impact on the server as a whole. All areas of land interact in an interwoven set of relationships. Much like the real world contains countries, each with sets of provinces, counties, and cities, Elyria also has its own hierarchy for land organization. To stake a claim on a Noble Title, you have to have a Casus Belli, or the authority to do so - from either high Favor, Fame, or Wealth. Favor (the only option for Casus Belli for existing nobles) is about support from your peers, your noble's peers, or your noble's liege lord, indicating your ability to conquer. Fame and Wealth are possible paths to Casus Belli for non-Nobles since they won't have military might. After achieving Casus Belli you still need to stage a Coup by reigning in their place for 28 days, during which time they can attempt to regain their title and land. Kings are responsible for setting the success or victory conditions for the kingdom. That is, it's the king who decides whether the kingdom will focus on research & technology, business and commerce, or military endeavors. 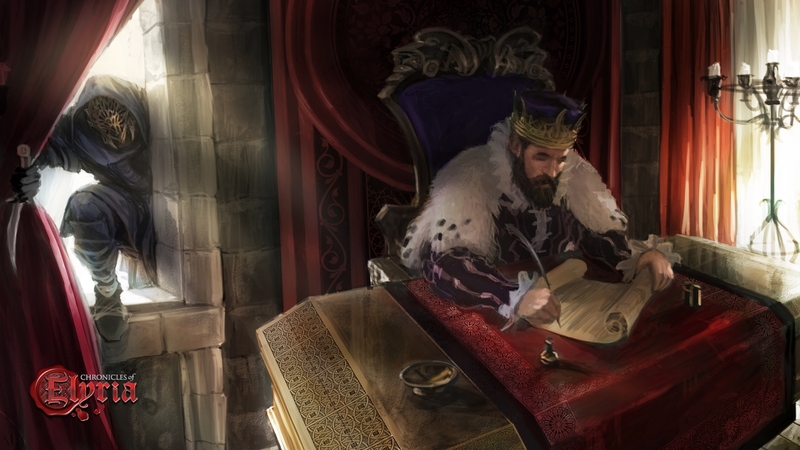 Kings also set laws and taxes for the kingdom using contracts. Dukes set laws/taxes for their duchy, and are responsible for paying dues to their king. They're also responsible for law enforcement, military, and the defense of their duchy. They manage the Strongholds / Castles / Outposts, and assign sheriffs and judges. In times of war, the dukes raise their armies and lead them into battle. Counts are responsible for resource and land management, building up settlements, and encouraging research. Counts maintain a Land Management Table in their County Seat, managing the sale and adverse possession of parcels of land. Mayors and Barons control local settlements - either towns or strongholds. They typically own the majority of land within their settlements and are responsible for zoning, monitoring settlement resources and taxes, along with local laws. Chronicles of Elyria is unquestionably a story-based game. We want the world to feel like you're living in a low-fantasy adventure book. But what kind of a story would it be if the main characters died over and over again, with no apparent consequences? Not very believable. It would also make those main characters feel like they didn't have an impact on the world. If someone is special, their presence should be missed and their absence should be noticed. Because of this, CoE uses a multiplier system in order to increase the death toll for more famous or impactful characters. Intuitively, this makes sense. If some unknown farmer dies, it probably won't have an impact on the overall story or plot. However, if a king (or queen) dies, it should ripple across the whole continent. As you advance by Fame or Noble title, each death will have a larger impact on your lifespan.